Some homes simply don’t have the space for multiple fitness machines, so people wanting to exercise at home end up having to compromise on what they decide to buy. 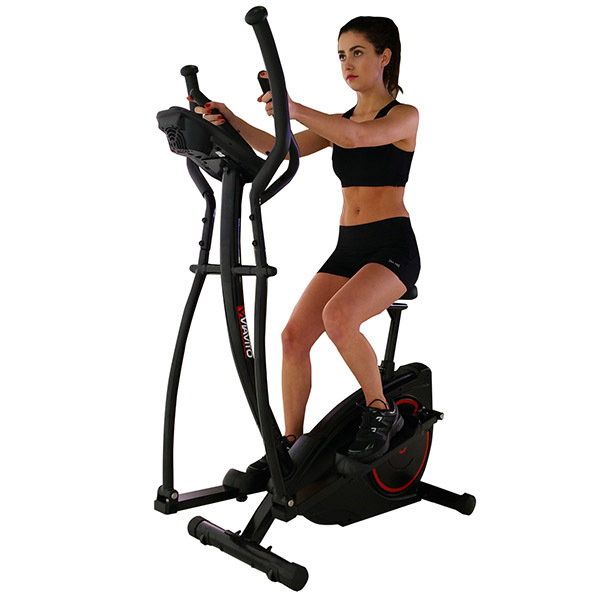 However, if you’re weighing up the pros and cons of different options you might want to consider the 2 in 1 elliptical cross trainer and exercise bike. 2 in 1 trainers might not be the most well-known piece of fitness equipment, but when space is an issue for exercising at home they offer a great solution. By combining an exercise bike with an elliptical cross trainer, you get the benefits of each one in a single, multi-functional machine. You’re probably thinking that 2 in 1s provide an inferior version of both a bike and a cross trainer, but that doesn’t have to be the case. 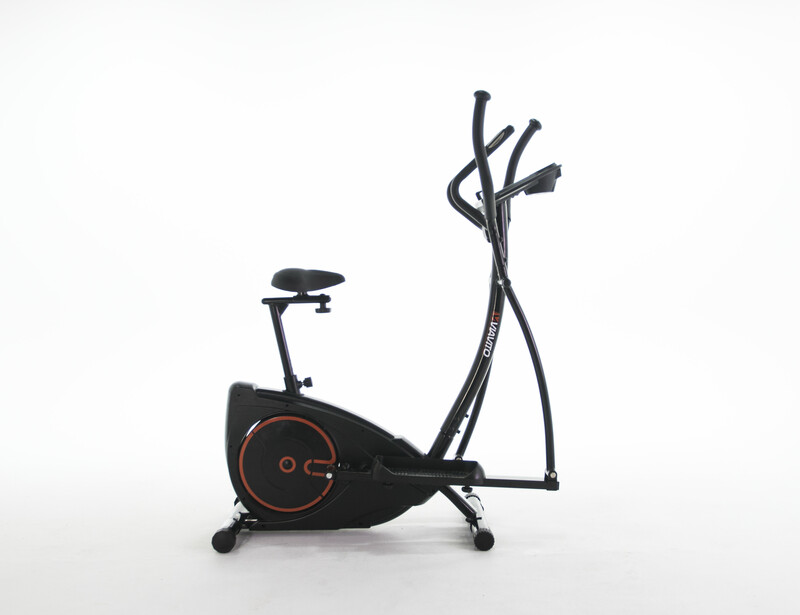 We really love the Viavito Setry and think it does a great job of replicating the motion of a bike and the action of a cross trainer in one machine. We’ve highlighted some of the outstanding aspects of the Setry, so check them out below and maybe consider getting one for your home! See the Setry in use and check out its features and what it can do for you on this cool video. Work out sitting down on the bike seat and then stand up to switch to cross training. It couldn’t be easier! By having two great machines in one you really save space at home as well as money. 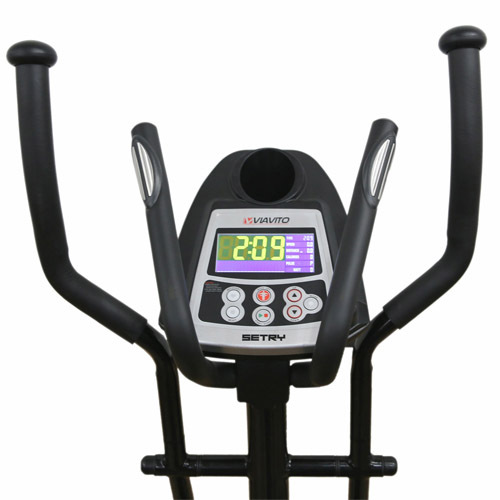 Below there’s an explanation of the cycling and cross training functions as well as information about its performance and some of the key features of the console. Cycling is a great cardiovascular activity, and the Setry does cycling well. The seat is very comfortable and easily adjustable so you find the best riding position as you pedal with your feet on the footplates. You can hold the handlebars and then turn up the resistance to really get your legs burning! Seated cycling will work your quads, thighs and hamstrings and be effective for strengthening and toning the muscles in your legs and lower body. Simply stand up from the cycling position, grab the moving handlebars and your arms and legs will be working in tandem and performing the cross trainer workout. It really is as easy as that, because to start cross training all you have to do is stand up, you don’t even need to lower the seat! This lets you vary your sessions on the Setry so you get the best of both exercises and spend your time working out effectively. Incorporating cross trainer exercising into your workout routine is highly beneficial, which is why many people love 2 in 1 trainers. It is still a very low-impact workout like cycling, taking the pressure off knees and other joints, but it engages more of your body including your core and back muscles, so you get a real full-body workout. What’s more, whilst you can just concentrate on your legs on a cross trainer, if you push and pull on the moving arms as your legs rotate you can work the muscles in your chest, shoulders and arms. 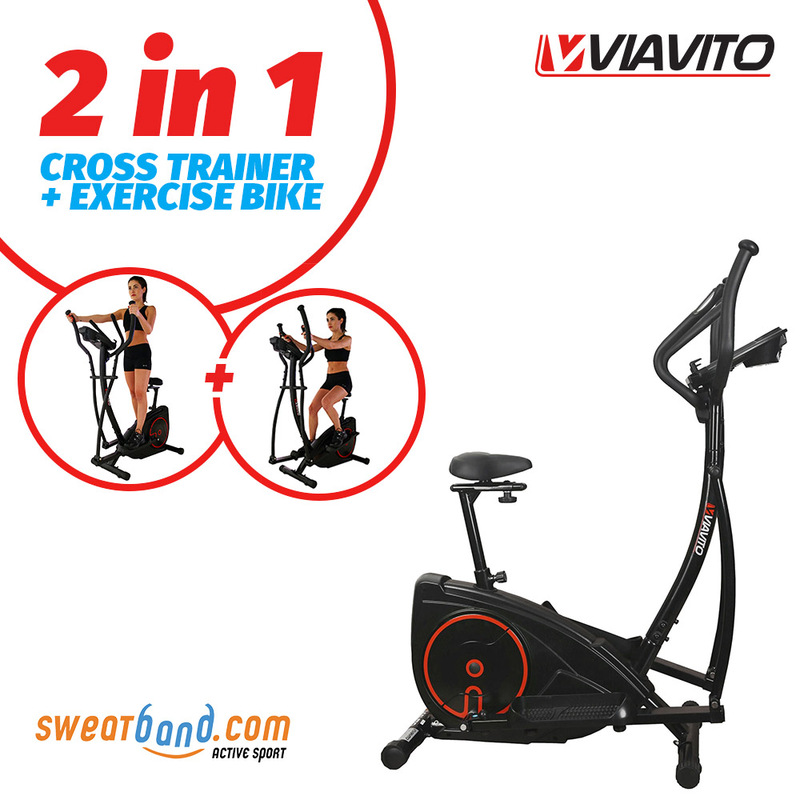 2 in 1 machines may seem like a compromise in certain areas compared to dedicated cross trainers or cycles, yet the Viavito Setry is by no means a compromise on functionality. The console looks great and works perfectly, giving you the workout feedback you would expect from a more expensive piece of kit. You can effortlessly follow your speed, RPM, time and watts, the distance you’ve covered, calories burned, and your heart rate. The Setry features hand pulse sensors for measuring your heart rate and there is a wireless heart rate receiver built into the machine. This lets you work out wearing a chest strap, getting more accurate readings and also allowing you to perform the heart rate control (HRC) programmes. There’s a total of 19 workout programmes to choose from, including 4 HRC and 12 pre-set ones. The HRC programmes will alter the resistance automatically so you work out in your optimal heart rate zones. The pre-set programmes are great for getting an effective cardiovascular workout, but if these aren’t enough for you then try out the watt option or set your own custom one! Afterwards, you can test your recovery and fitness level and get a body fat reading. One of the features we are most impressed with is the 32 levels of computer-controlled magnetic resistance. 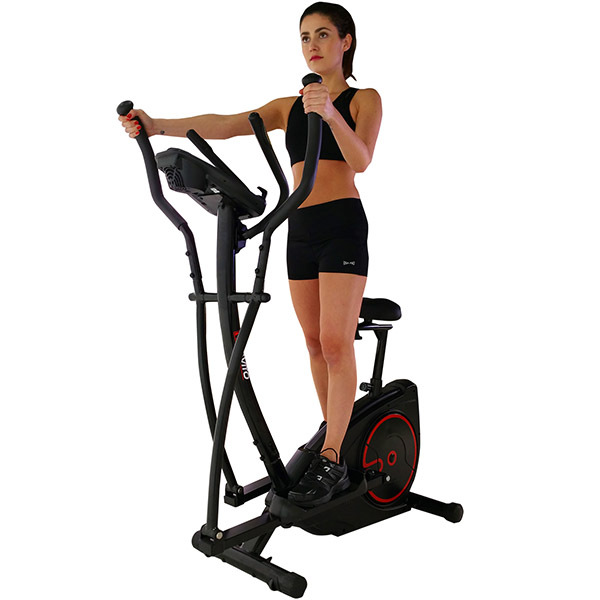 Often fitness machines in this price bracket have low levels of resistance that don’t provide a big enough challenge once you’re in reasonable shape. The top levels on the Setry, however, are really hard work, so you can invest in one of these and know you’re not going to outgrow it anytime soon! Another handy function is the 4 user profiles, something which again you usually see on much more expensive machines. This lets 4 individual users save their gender, height, weight and age and then receive more accurate calories burned info. And see what it can do for you!